Update: The Winner of the BDJ 2010 has been drawn. In approximately a month from now, the Belle de Jour 2010 Power Planner that’s sitting pretty on my dresser will land on ONE LUCKY READER’s doorstep. Hence, this contest. Contest is open to local residents. What better way to welcome the new year than being armed with this ultra chic planner packed with everything a girl needs when it comes to organizing. This year’s edition comes with a cloth cover, a garter enclosure, a pen holder and a BDJ-forget-me-not notepad! The 2010 BDJ planner will surely make you breeze through the new year with greater sense of ease and style. With pages and pages of coupons, and lots of special features, this planner is definitely a must have for the coming year! Ever wanted to create soundtrack of your life or paint even if you don’t know how? Sometimes we lose track of little goals like these just because we don’t list them down! 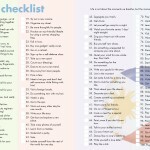 With BDJ’s 2010 Checklist, you’ll never lose track of the things you should tick off the list before the year 2010 ends. The BDJ planner understands that some habits are hard to break and some are even harder to start! 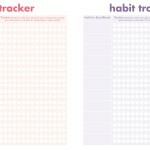 A new feature of this year’s planner, the habit tracker, encourages BDJ users to turn a new leaf by allowing them to list down the habits they ought to start and break. The planner even allots space to monitor progress. Suggested by loyal BDJ users, this feature makes sure you are allocating funds for a rainy day while monitoring your progress in saving for big ticket items. With the Savings Tracker, you manage your finances better and monitor your nest egg for those things you really want and need. 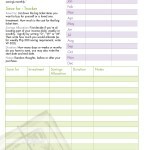 MENSTRUAL TRACKER—keep track of those “special” days. Knowing your menstrual symptoms, flows, and patterns is vital to your health. GOAL PAGES—take the first step to turning your dreams and ambitions into realities. Let this page be a constant reminder of your life goals. FORWARD PLANNING—this page is your life masterpiece in the making. Like a spontaneous artist, fill this area with notes, doodles, clippings, and other random thoughts of the year to come. HEALTH CHECKLIST—do you know which types of doctors you should see regularly? Don’t fret; we’ll be your constant reminder so that you’ll never miss another doctor’s appointment ever again. 4. Contest ends December 22, 2009 at 11:59 PM. (I will use Random.org) Contest winner will be announced Christmas Eve, Dec. 24. 5. 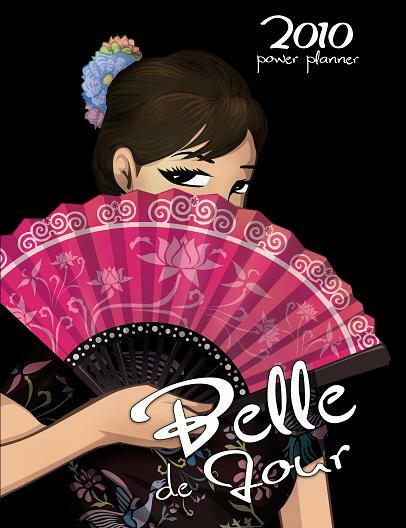 I will send the winner’s Belle de Jour 2010 Power Planner as soon as Air21 resumes delivery after Christmas. Save the date for Belle de Jour Power Planner 2010 Launch!